Oakwell Hall is the place to be for a traditional May Day celebration on Monday 4 May. You can watch maypole dancing demonstrations by year 4 pupils from St Patrick’s School, Birstall. There will also be a chance to enjoy some country dancing with authentic 16th to 18th Century music played by the Leeds Waits. An added feature is the chance to see some traditionally decorated horses. The free event has been organised by the Friends of Oakwell Hall who will be running a tea stall alongside the activities on the front lawn of the Hall on Nutter Lane. 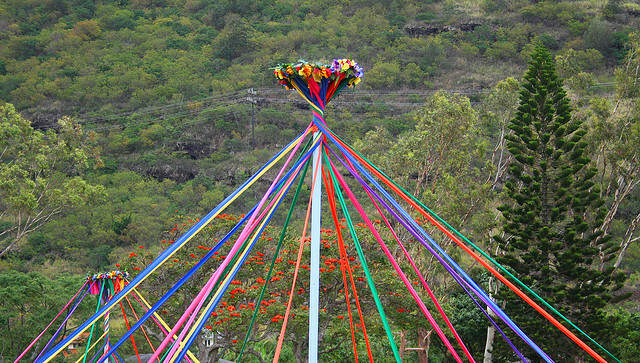 The maypole dancing demonstrations will take place at 1pm, 2pm and 3pm. Country dancing takes place at 1.30pm, 2.30pm and 3.30pm.